Big Bounce Party Zone, Inc.
Big Bounce Party Zone is a great place to host your child’s Birthday in the Naperville Chicago area. Have a party in the party room, or “Own the Zone” – you and your guests will have the entire facility to your own for 2 1/2 hrs. 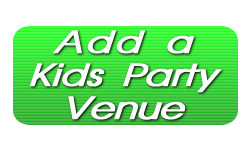 Big Bounce Party Zone has great pizza and pasta and more, and there are many different party packages available for the perfect party experience. 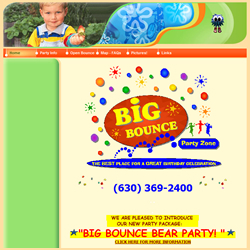 Visit the website for more party info on Big Bounce Party Zone.